For the sake of clarity, we’re categorizing recently made, road-legal production vehicles only — limited runs notwithstanding — and we’re leaving out classic cars sold at auction. We’re also limiting the list to one entrant per nameplate, so don’t expect 10 different iterations of the same Bugatti Veyron. So whether your name is Buffet, Gates, Stark, or McDuck, these rides are for you — the most exorbitant people-carriers on the planet. They say money can’t buy happiness, but after viewing this list, you just might beg to differ. 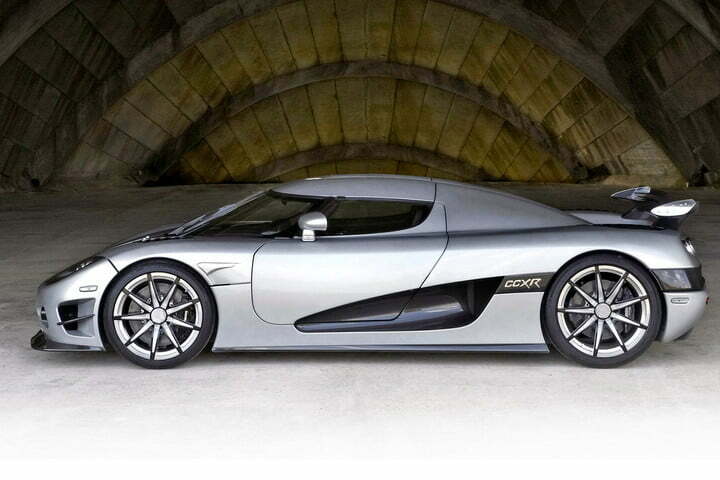 Koenigsegg CCXR Trevita $4.8million Koenigsegg makes its first appearance on the list, and it does so as the most expensive street-legal production car in the world. Why so much coin? With no exaggeration, the car is literally coated in diamonds … and diamonds aren’t cheap. For the Trevita, the Swedish manufacturer developed a new exterior finish called the Koenigsegg Proprietary Diamond Weave, which involves coating carbon fibers with a diamond dust-impregnated resin. We can’t even fathom how much the touch-up paint costs. Underneath the lustrous finish lies a 4.8-liter, dual-supercharged V8 with a total output of 1,004 horsepower and 797 pound-feet of torque, which means it should have little to no trouble overtaking semis on the freeway. The car’s specifications — in both performance and price — are nearly comical at this point, and just three were ever made. Lamborghini Veneno $4.5million Poison. That’s the name Lamborghini chose for the modified Aventador you see above — translated from Italian of course — built to celebrate the automaker’s 50th birthday. We can’t speak for the company’s motivations, but the name is fitting for a vehicle that looks so positively deadly, so undeniably venomous. The car is absolutely stunning from every angle, and to this day, we’re not convinced it isn’t an alien spacecraft surveying our planet for eventual takeover. It just doesn’t seem real. The only thing more remarkable than the look is the price — a whopping $4.5 million. 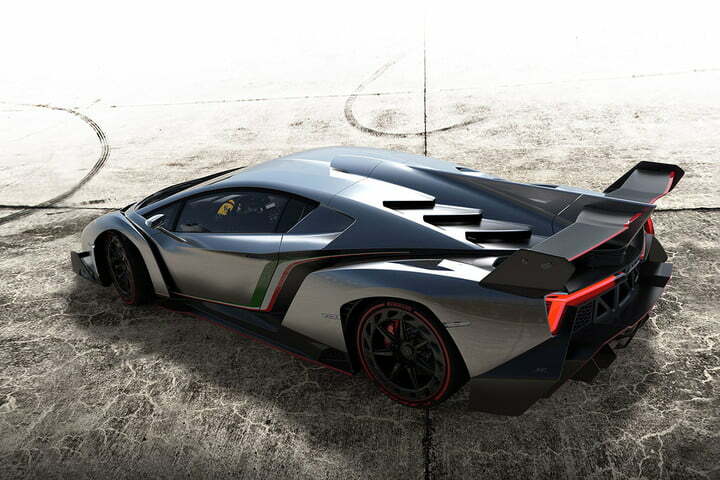 The Veneno is fast, and that should come as no surprise. Its 6.5-liter V12 spins all the way up to 8,400 rpm to deliver 740hp and 507 lb-ft, surging the car to 60 mph in 2.9 seconds. Let’s start with the styling, which includes jewel-encrusted headlights, scissor doors, and an interior ripped straight from science fiction. 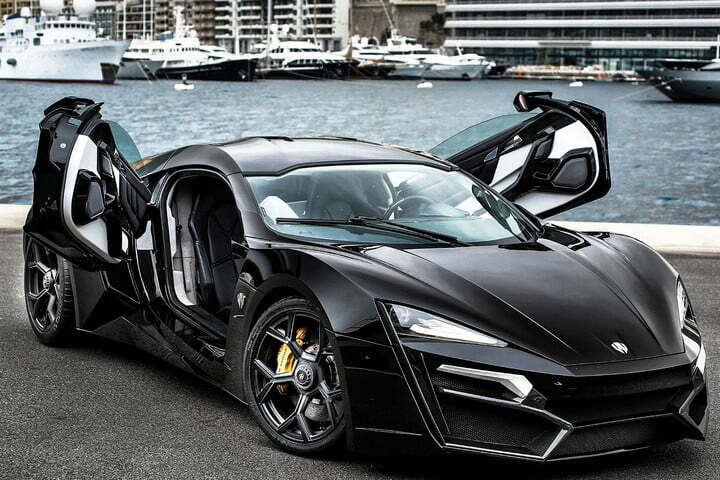 It looks like a pissed off armored car from the future, and its performance is right on par with its image. 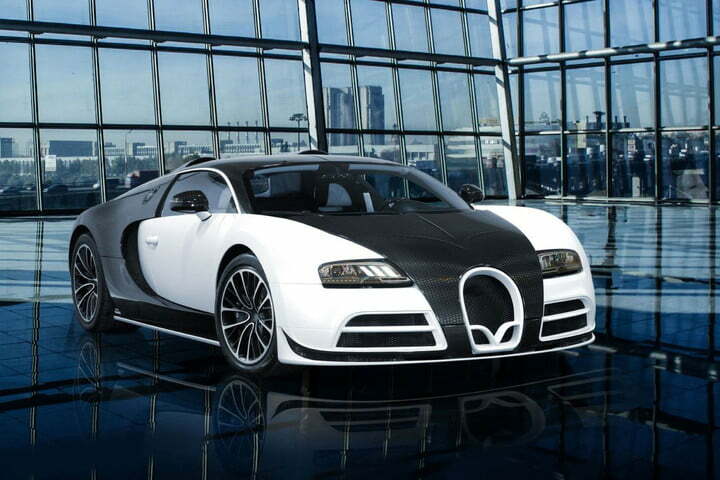 The Hypersport boasts a 3.7-liter, twin-turbo flat-six that yields 770hp and 708 lb-ft.
Limited Edition Bugatti Veyron By Mansory Vivere $3.4million This list wouldn’t be complete without some version of the mighty Bugatti Veyron. We’re shining our spotlight on the the Mansory Vivere edition here, because not only is it one of the fastest cars in the world, it’s one of the most expensive. Augmented by German witch doctors Mansory, the 1,200hp Veyron starts out as a Grand Sport Vitesse Roadster, only to be adorned with a gorgeous carbon-fiber body, a new spoiler package, upgraded LED lights, a revamped cabin, and a redesigned front grill. Further classifying the Veyron as a work of art, maps of historic race events like the Targa Florio are laser etched into the exterior and interior. Oh, and it can do 254 mph. 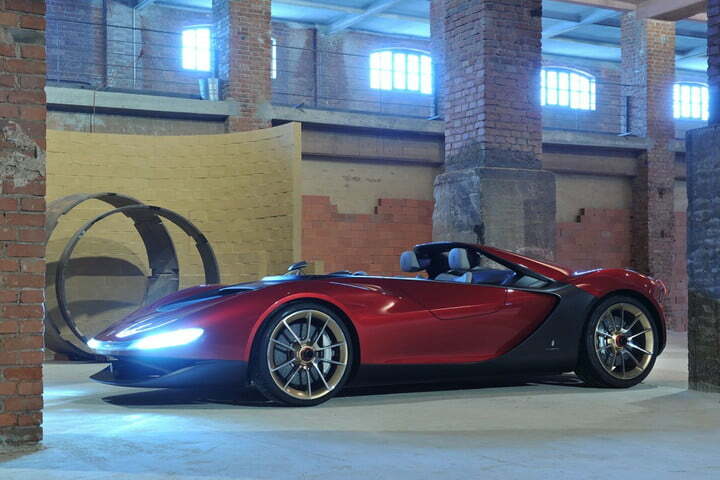 Crafted by legendary Italian design house Pininfarina, the Sergio is essentially a Ferrari 458 Spider with a completely new body and interior. That means a 4.5-liter V8 sends a whopping 562hp to the rear wheels, but because the Sergio is lighter than the 458, it’s quicker and handles better. The new body doesn’t just save weight — it’s chock-full of interesting details like aerodynamic headrests that are built directly into the roll cage.